Well now we need a wither texture! How about a very distorted/rotted version of the skeleton wearing fragments or a damaged suit of armor? Hey is it just my computer or did the sheep return to its original vanilla texture? also the nether portal texture is missing but tell me is it just my computer? The sheep texture has been reverted temporarily but if I have enough time to work on it, it will be back and better than before by the end of the weekend. 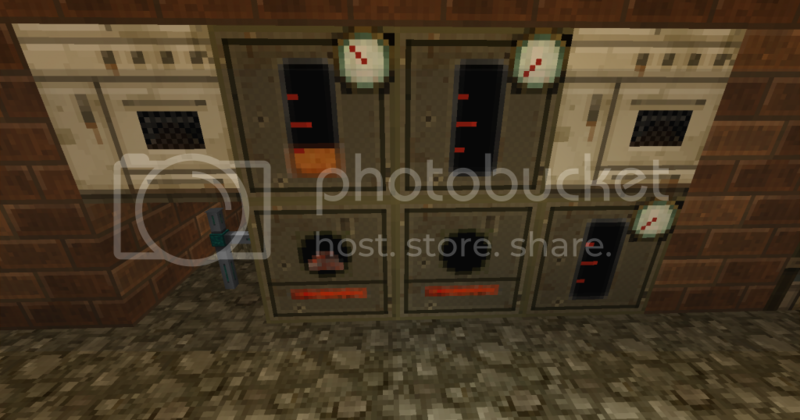 As for the nether portal, I did not know about there being a problem, but will regardlessly be fixed tomorrow. This is f*ing awesome and I love you guys! A big thank you to everyone who has supported us so far! The majority of the content that was intended to be in the pack's first release was, and unfortunately still is, unfinished. Don't dismay as it is only the result of busy schedules from our texturers, me included. This setback will, however, probably cost the team a week. Look forward to the features listed in the "upcoming" section under versions. Gotta be excited for mushroomy trees! I will ask the team what we can do about the clock, as it is obviously not finished. We will probably use yours and credit you for it. Anyway, I'd like to announce that the final cut of the first update to this pack, now branded the Nuclear Winter Update, is going to come out over holiday break, and until then, I will be showing screenshots of new textures being made. That way we can have some constructive criticism really early on (which is a good thing). We also may release tiny Tester Releases which will have all the beta textures shown before the big update is released. For now, here are some flowers to gaze at. 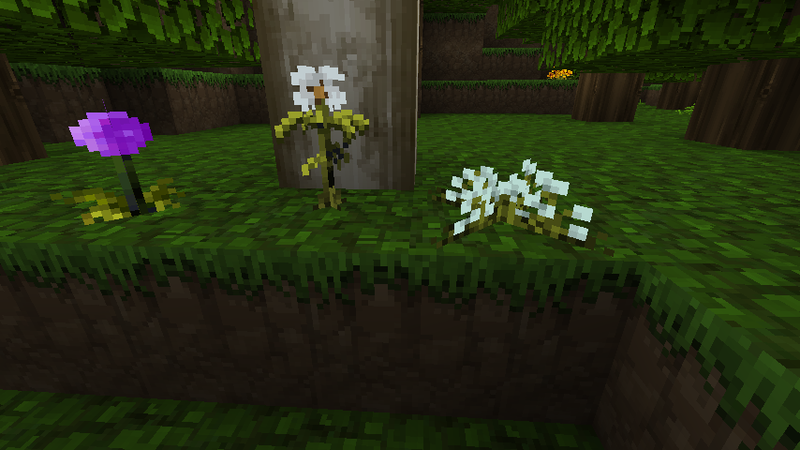 Textures are pending, based on how literal the flowers end up being. By the way if no one has found it yet, there is a texture for something that wasn't intended to be released yet in the most recent download, but I won't bother removing it now, just know that it will be changed. I'm just clearing out all the un-updated stuff from the folder, so that my secon Resource Pack can take over, when one texture is missing. - Blaze Rod: Maybe a live wire. I unfortunately don't know what the icon that represents Blaze Powder is suppose to be. lol those are some pretty good ideas. I've been trying to make a texture for the chain-mail for quite some time now but to no avail. Absolutely love the new textures! I suggest a high-tech war robot. Some superior prototype that came from a military facility. It would look cool with the wither armor on. Like a force field. Have a good holiday and enjoy your family..keep up the good work on the pack. It's much appriciated. EDIT: I redid the pouch texture and made it myself. 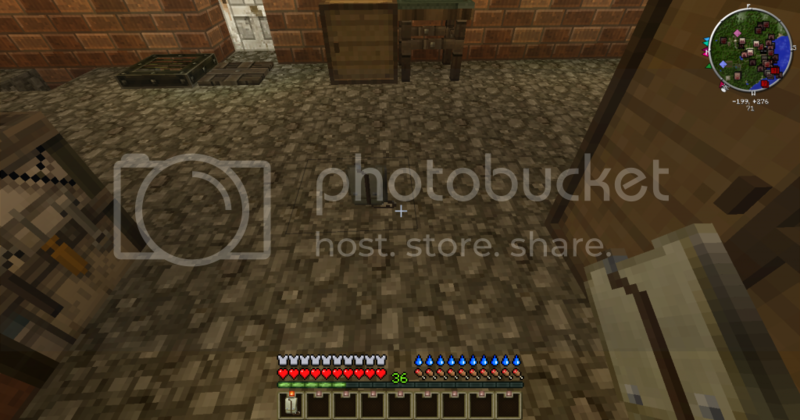 The other one was just a reuse of the bone texture from this pack. New link is at the bottom, sorry for any inconvenience. These are some Alternate textures for the mod Two Tility by the mod author TwoThe.If any one uses this pack and that mod. Download link is below as well as a link to the mod page.I will try to update the pack when the mod author updates his mod.Not sure if this resource pack will be updated anymore but if it is could the maintainer of the pack put this one the front page. Thank you. Sorry if I just kind of vanished, life interceded. on the other hand I am very impressed with this.